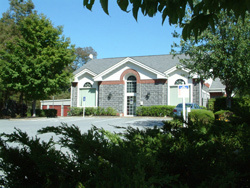 Guardian Self Storage in beautiful historic Hyde Park, conveniently located on Route 9. Well suited to the beauty of the area while maintaining affordability and easy access. You will find drive up storage rooms ranging from a locker to two car garage, all with 24/7 access through our security gate. Surrounded by four area colleges, Guardian Self Storage is experienced in determining and meeting the needs of students. A short drive from Poughkeepsie, Staasburg, Rhinebeck and Salt Point.